Car Repairs Reading – Car Brake Repairs We carry out all Kinds of Car Repairs Reading in Our Workshop from Car Brake Repairs, Brake Fluid Replacement ,Including General Welding to Mot Standards, Electrical Problems, Ecu Repairs including Ecu Remap, Car Air conditioning Repairs, No Job is to big or To small For Us and we offer 3 to 12 Months Guarantee on Most Car Repairs We Carry Out including a parts and Labour Warranty. Car Repairs Reading Including Car Servicing Interim Servicing From £79.00 Pounds, Full Car / Light Commercial Service from £179.00 with a 52 Point Checklist Carried out, Please ask for your service schedule when collecting your vehicle from us, we do not carry out any repairs to your vehicle without your prior agreed consent and all prices are agreed before the work is carried out at all times. We offer a Collect your Car Service for customers that need work done to their car but cannot get to us due to Work Commitments or any other reason, This is also Applies To our Elderly Customers. We can Also Offer A Courtesy Car On Request if it is available at the time you require it. Car Repairs Reading From The Car Service Centre Reading,We Have over 35 Years Experience In The Motor Trade and Plenty of experience at diagnosing Your Car Problems Fast, with a Quick Turnaround to get you back on the road in Double Quick Time. 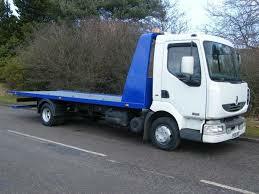 A Car Recovery Breakdown Service Is Also Available On Request. If you want you car to run without problems, then you need to take good care of it. For instance, driving with little oil or dirty oil can damage your engine; dirty engine oil is also a likely candidate when your car fails on the emissions test. The emissions part of any MOT exam these days is a lot stricter than in the past, and checking for small holes in your exhaust system before the big day can avoid so much heartache. Whichever car it is that you drive, be it a family saloon, a huge 4 x 4 or a sports car, you would always love to have it be a reliable and consistent performer, like a well-oiled machine. And this isn’t very difficult. All you need to do is take the car in for it’s periodic checks at your local garage, Car servicing is the single most important element to ensure a long and trouble-free life for your car. Of course, there’s every possibility that your schedule is a bit too hectic and you’re busy with work, or just cannot afford to drop the car off for a service because you’re afraid it might just take too long. If you’re worried about any of these things, just remember that without periodic service, you’re putting the continued reliability of your car’s performance at risk. The old saying goes, “if it ain’t broke, don’t fix it” and that is true to some extent, but if you do hear the odd whirr, thud or bump while driving, it’s best to drop your car in for a service. You never know, that tiny niggle may just grow to be a major and very expensive inconvenience in the very near future. Your car’s make and model may have you visiting someone around the corner, or someone quite a distance away. If it’s the latter and you like the way they work, stick with them. If you’re looking for a change, look up a few authorized servicing centers for your car model. Although some may not be dealer owned, many private mechanics and technicians are just as good, if not better than most approved garages. You may just be referred to them by someone you know and trust. SO go ahead, but just make sure they do a good job on your car. Service Garages with a good reputation aren’t hard to find, you just need to look around and ask the right people. If you happen to drive far out of town and then are faced with a problem, you’ll no doubt have to visit a nearby car servicing station. Unless it’s an absolute emergency, don’t let just any technician get under your car’s hood. Visit a place you know is reputed and if it’s not an authorized station for your car brand, ensure the technicians use the approved materials, for instance the exact grade of oil, or replacement parts bearing the exact numbers approved by the car manufacturer. 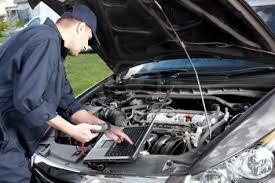 This not only ensures the best results and reliability, but will also comply with any warranty the car may be under. Also make sure you retain all the bills and service receipts that bear the above details. Whoever you entrust your car with, make sure they are careful workers. If they pay attention to the little details, you’ll know your car is in good hands. Depending on what type of car you drive, it’s easier to pick out any faults and take care of them before they grow into larger problems. For hatchbacks and saloons used by the family, all you’ll need to take care of is the engine oil and all other fluids, check the brakes, wheel alignment and the air conditioning and take note of any squeaks or other odd sounds. 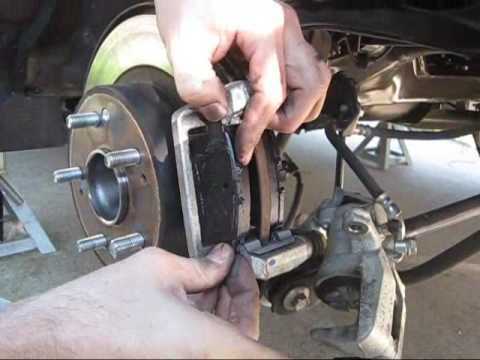 If you drive a crossover or an 4×4 and your driving takes you off road or on a trail often, give the steering and suspension a few checks even now and then and drop it off for a service when needed. Sports Cars tend to demand more attention, but they also come with several terms and conditions. If you’re comfortable working with cars, you can always try to do the small bits yourself. For everything else, the servicing guys will be more than happy to take over. So, no matter what car you drive, take care of it, and it will take care of you in return. Keep an eye and an ear open for any possible issues, have regular top ups performed when required, and before you know it, you’ll have a car that runs as good as new and will have retained it’s value well.